Durable nylon and stainless steel parts. Can withstand the maximum amount of water pressure for more efficient mist. 28 feet of tubing for maximum reach. 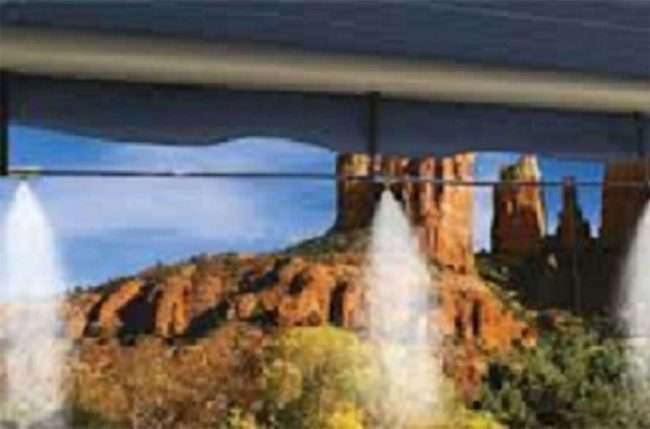 Enjoy natural cooling with an RV Awning Misting System. This type of cooling system relies on evaporation to lower air temperature. Nylon parts provide longevity and strength, as opposed to cheaply-made ABS or HDPE. Tubing size: 1/4″ outside diameter, 5/32″ inside diameter. Stainless steel nozzles designed for durability. Cheaper versions will be made of plastic and become brittle over time. 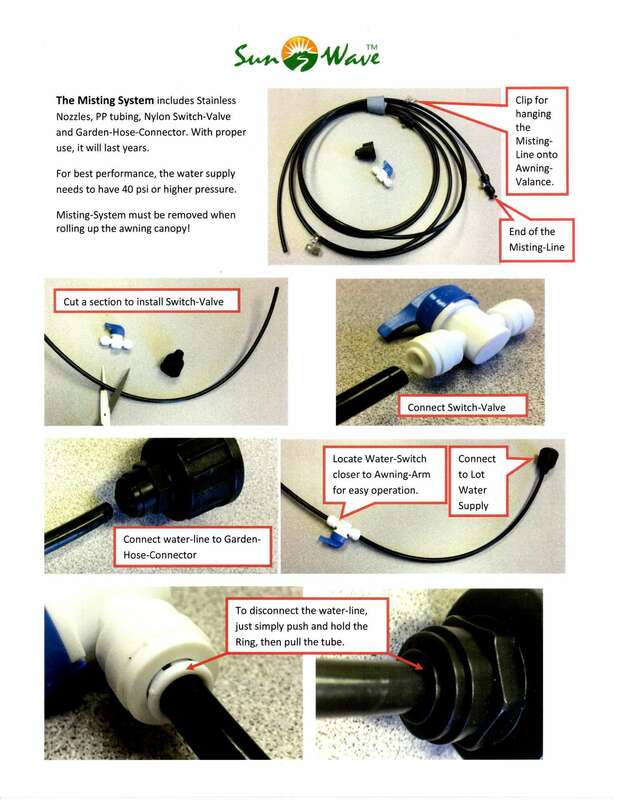 This misting system can withstand 125 PSI. Easily installs by clipping to the awning valance. An On and Off valve for convenience. 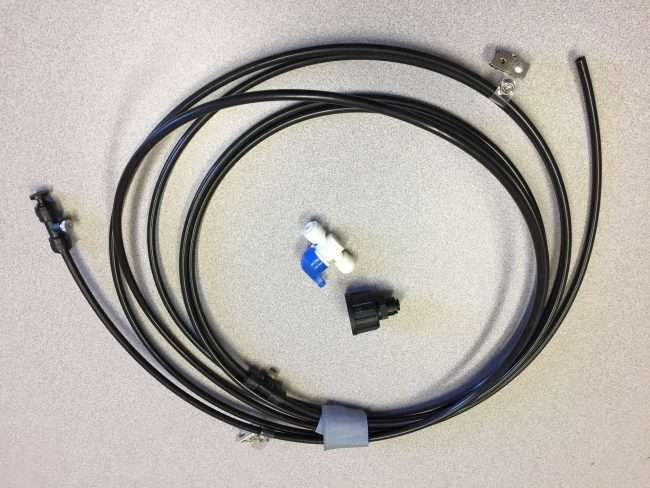 Garden hose connector will easily attach to outside shower spout or garden hose. 28′ of tubing gives maximum reach. 1-year warranty against manufacturers defect. Couple the Awning Misting System with the Awning Sun Shade and then you can stay cool in even the hottest temperatures.